A new twist on the classic Svengali deck! 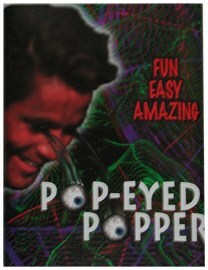 The Pop-Eyed Popper lets you force and manipulate playing cards smoothly and easily. Many great effects are possible with the Popper, and every one is certain to delight and amaze. Pop Eyed Popper deck Royal.